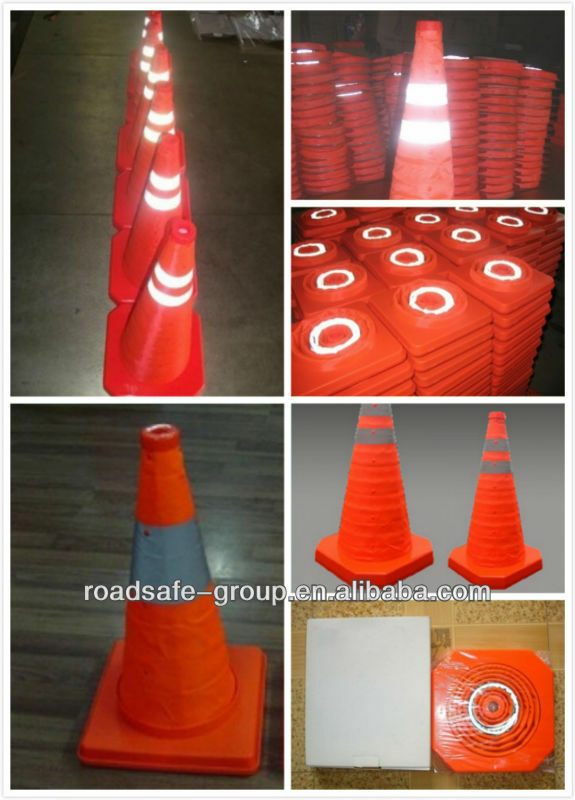 500000 Piece/Pieces per Month Samples of orange traffic cones are available. 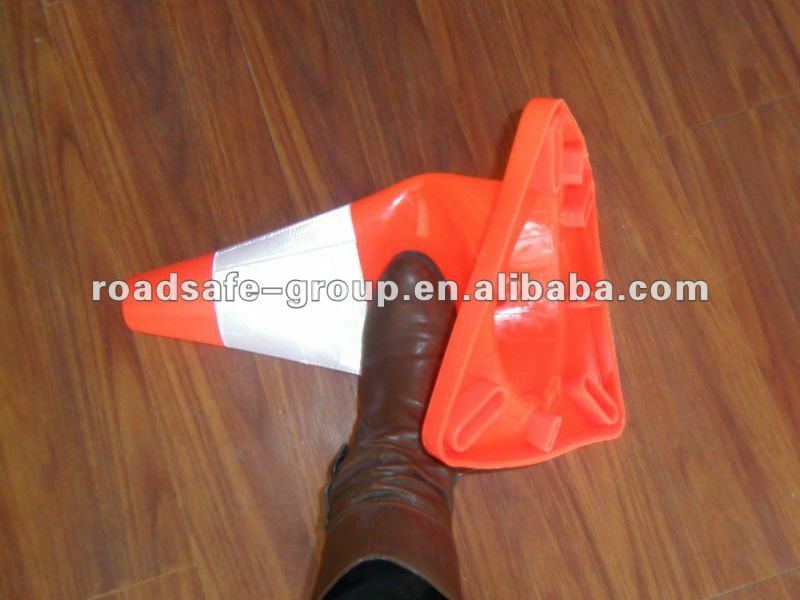 touch the floor, with high flexibility against the runover and impact of the cars. Because of good weather resistance, it won't deform in high tempreture 65°C and craze in low tempreture -30°C. 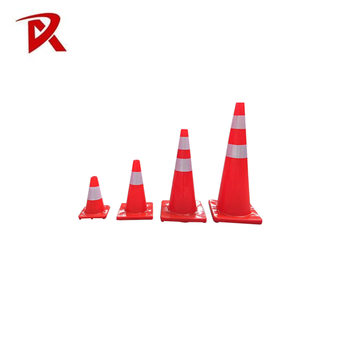 Highly reflective, good warning effects at both day and night, anti-UV, aging resistance and durable. 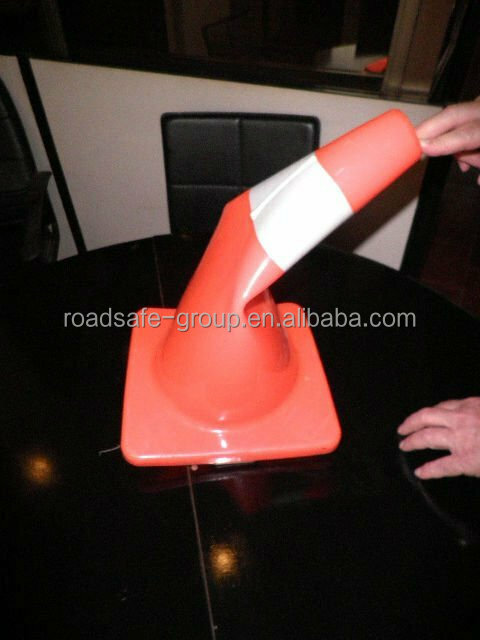 This traffic cone has a wide body profile for stability. 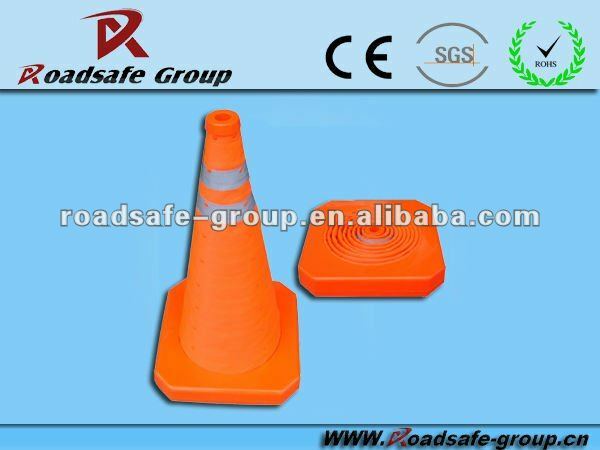 Cone is injection molded with black base.Drive for the road separating the role of the warning; Coupled with the role of the lattice better. 1). 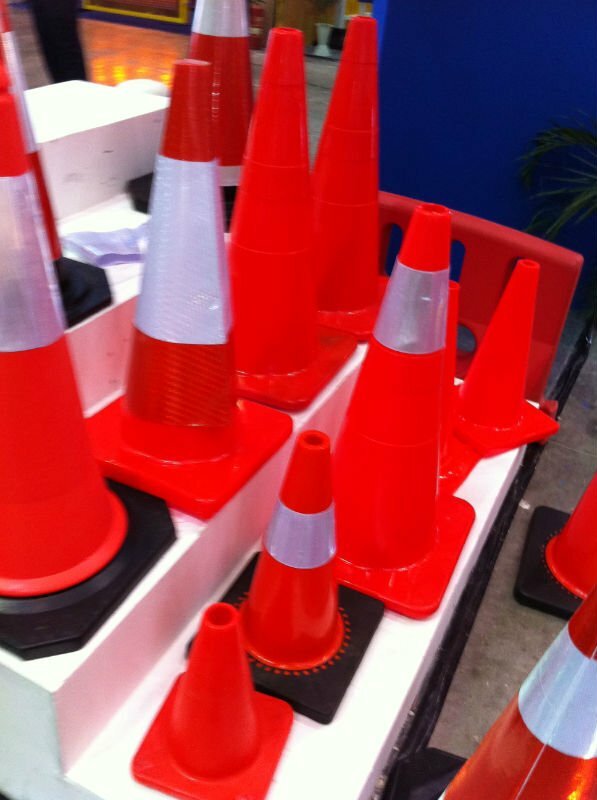 Can meet the needs of force protection, physical security, crowed control. 2). Easy to use, and the production is durable. 3). Light in weight , and very easy to transport ,making quick development and recovery possible. 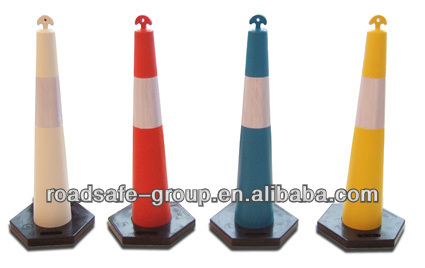 Set in the crossing of the roads and toll-gate to warn the drivers and reduce accidents. 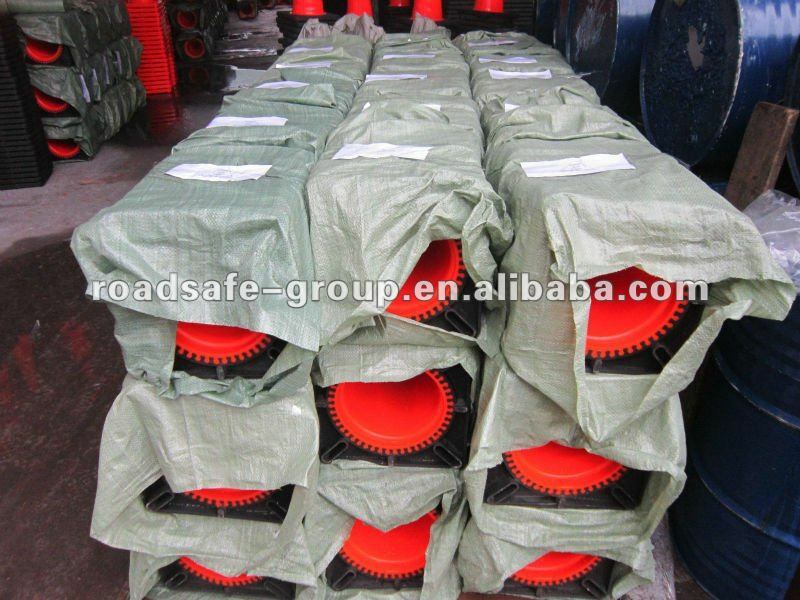 We will send free samples which can represent our bulk cargo for our clients' reference. 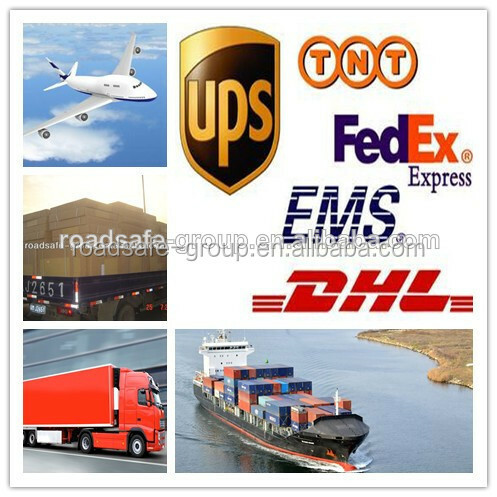 information on your orders, lead time, stocks, deliveries and transportation. 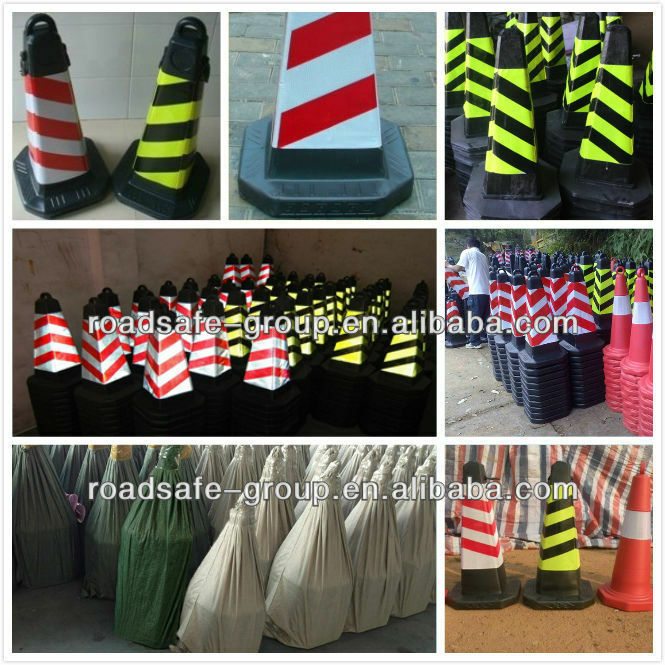 road safe products,our products sell all around the world. 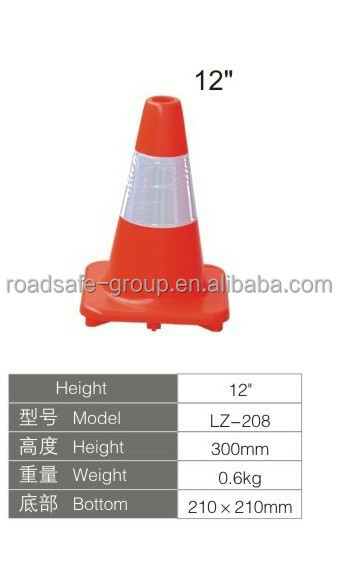 which enjoys high quality and low price in China. 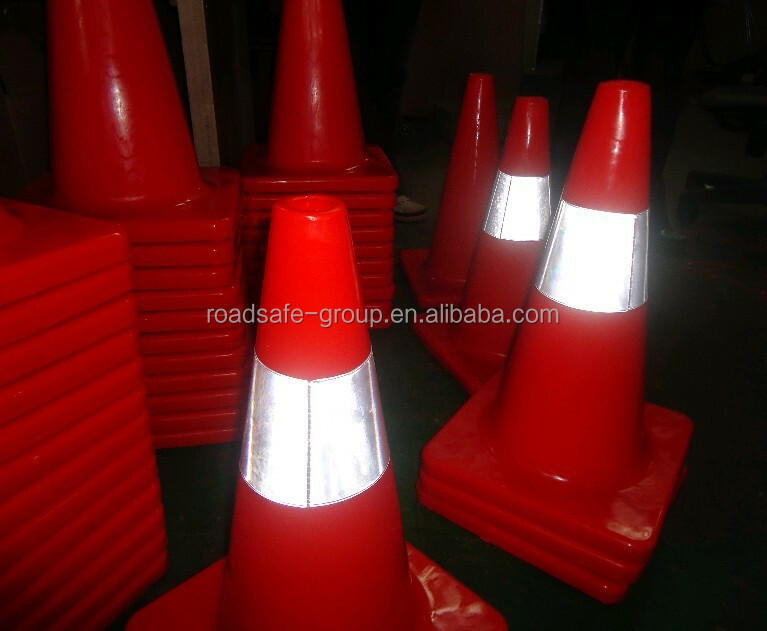 best to promote the rapid development of global highway construction. A:Sample is free ,but freight collects. by Western union, we will send our sample asap once getting your payment. produce it as your request. 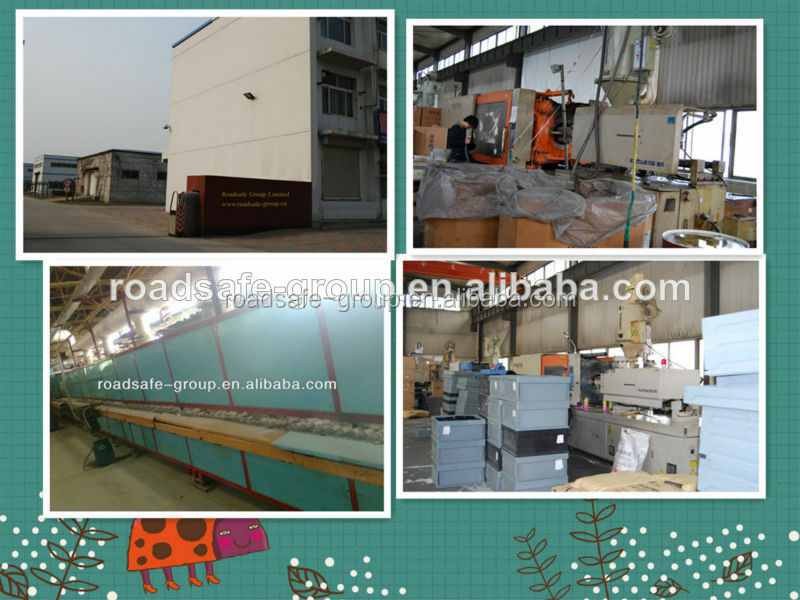 A:Certainly,welcome to visit our factory. A: T/T: Accept USD, EUR.